Janamejaya is the great grandson of Pandavas in the Mahabharata and he performed the famous yajna or sacrifice to destroy all the snakes on the earth. Janamejaya was the son of King Parikshit, who was killed by serpent, Takshaka. King Parikshit was the son of Abhimanyu and Uttara; and grandson of Arjuna. He ruled the kingdom for 60 years but due to a curse was bitten and killed by serpent Takshaka. Janamejaya decided to take revenge and performed Sarpa Satra – serpent sacrifice. Thousands of snakes were drawn out by the spells chanted during the yajna. They immolated themselves in the yajna fire. But Takshaka did not come to the yajna as he was protected by Indra. 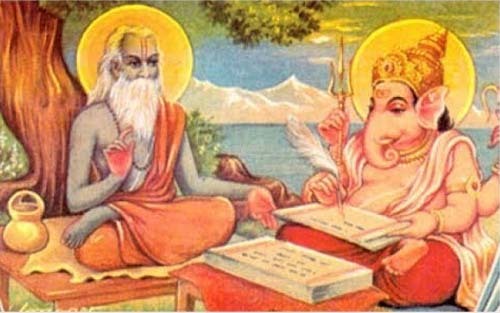 Janamejaya, who realized that his main enemy was protected by the king of Devas, ordered priests to chant more potent mantras. The mantras forced Indra out of his abode with Takshaka hanging on to him. On seeing the sacrificial fire, Indra released Takshaka and fled the scene. Takshaka was soon heading towards the fire. But a young sage Astika who happened to witness the horrific scene of snakes immolating decided to stop it. Astika convinced Janamejaya about the futility of revenge and reminded him of the great Kurukshetra war. The king was convinced. As a gift the young sage asked Janamejaya to stop the yajna. The king stopped the yajna and Takshaka and many other serpents were saved. Sage Astika who was pleased by Janamejaya agreed to perform Ashwamedha ritual for his welfare. It was at this Ashwamedha yajna that the Mahabharata story was recited by Sage Vaishampayan. The king who had contracted an incurable disease was cured after listening to the entire Mahabharata. At the end of the Ashwamedha Yajna, Janamejaya desired to see his father and he had a vision of King Parikshit.